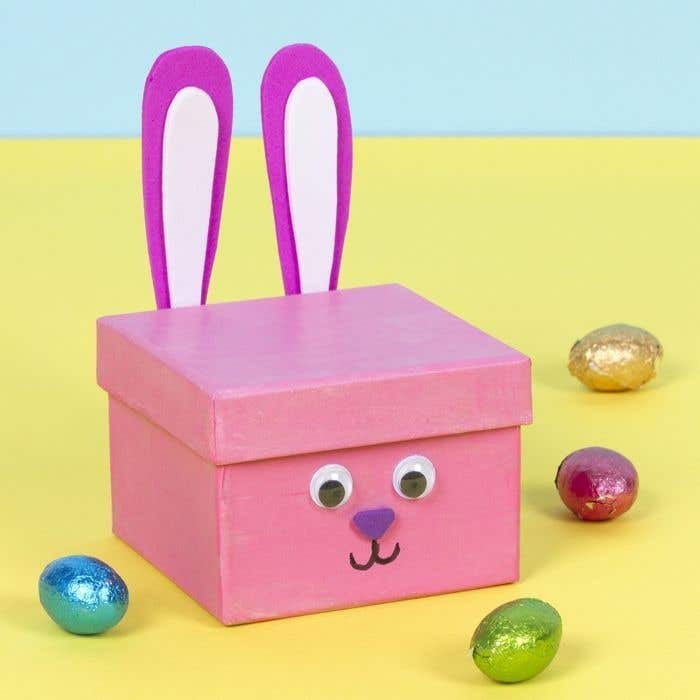 This DIY Easter bunny box is perfect for keeping your mini Easter eggs in. 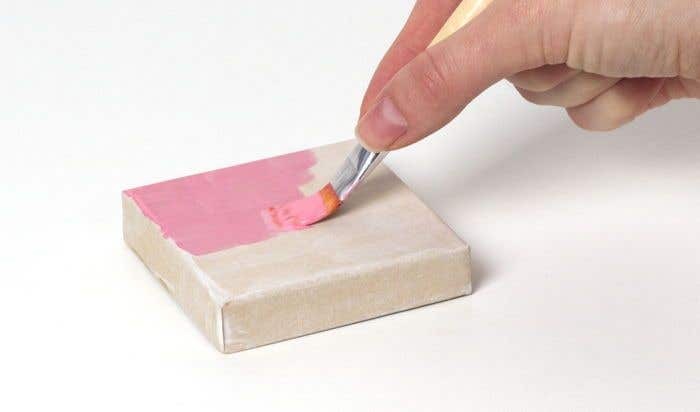 Take the lid off of a square craft box, then paint the box and the lid with pink paint and leave to dry. Add another coat of paint if needed. Cut out two bunny ear shapes from a pink foam sheet. Then cut out two slightly smaller bunny ear shapes from white foam and stick them to the pink ears using double sided tape. Stick the two bunny ears to the back edge of the lid of the box, making sure the white foam is facing forwards. 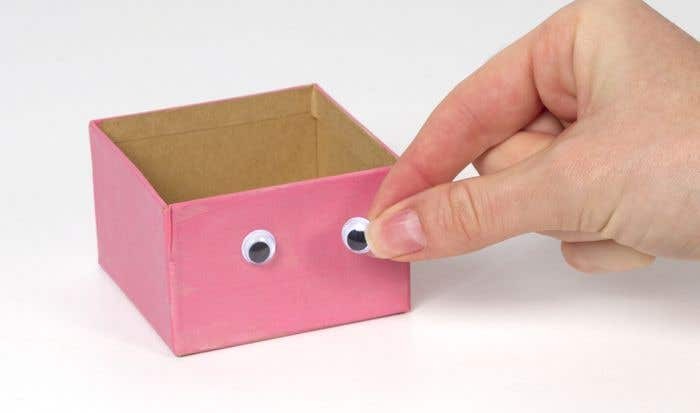 Stick two wiggle eyes to the front of the box, just below where the lid finishes. Cut out a small triangle from purple foam and stick it to the box just underneath the eyes. Use a black pen to draw on the bunny's mouth. Fill the box with shredded tissue and mini chocolate eggs. Paint the craft box white before adding the pink paint to make it extra bright.